In the western world covering North America and Europe, the use of cash has been quickly replaced by the more modern credit/debit cards. But as far as Mexico is concern, cash in the forms of notes and coins still lords it over as the primary tool for purchases. Whether you’re trying to avail of goods and services, be sure to keep cash on your pocket because it still is the most widely used form of payment for Mexico lifestyles. Do they accept credit/debit cards in Mexico? Yes, certainly; credit/debit cards are beginning to hold their ground especially among Mexico’s middle, upper and elite social classes, but those in the majority are still being educated about cashless purchases. Many, if not almost half of Mexicans don’t have bank accounts, using cash to pay for consumer goods, rent and services. In fact, a research into Mexico lifestyles made by the Bank of Mexico indicates that most Mexicans who have their salaries paid to debit card bank accounts would simply withdraw cash through ATMS for use in their everyday purchases. No doubt, cash remains king among Mexico’s population. Are cashless Mexico lifestyles possible? Most businesses already accept debit/credit cards and even smartphone payments. The list can be endless, and this includes malls, department stores, food chains, car/automotive dealers, travel agencies, furniture shops, bus companies, medicine stores, formal restaurants, novelty shops, gas stations, electrical/hardware stores etc. Even professional services rendered by lawyers, doctors and dentist can be paid through cashless means for easy cashless Mexico lifestyles. Mobile companies have gone high-tech too, and you can prepay or add balance to your mobile use through a credit/debit card. Even so, you will still need to have some cash with you. 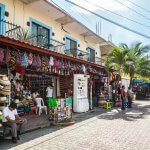 There are many places in Mexico where you can only avail of goods and services using only cash. This includes small convenience stores; street stalls and mini markets; taxi services; ambulant or street vendors; confectionary; shoe-shine services; newspaper stands; and even purchasing small amounts in some small shops and souvenir stores in remote villages or towns. Paying for services rendered by carpenters, electricians, plumbers, maids-for-hire etc is made through cash only, unless you entered into a contract for large scale work. Most of the ad-hoc jobs performed by manual workers are also on a strict cash basis only. Many small souvenir shops and stalls also don’t accept credit/debit cards. So if you’re a tourist looking for the best buy which you would want to give to your love ones back home, be sure to stock up some Mexican cash. Informal street traders selling local souvenirs would only accept cash for a trade with their stuff. To show your gratitude for an exceptional service while enjoying Mexico lifestyles, giving tips should always be in cash or coins. If you’ll stay within a resort for a day or two on a package tour, the use of cash can be minimal, but instances may come up where physical cash can be utilized. So just be prepared with some handy amount; this way you can fully enjoy your vacation knowing that you’re ready for any unforeseen events where cash is needed.